For anyone who has ever visited Paris the view from the Sacre Coeur is something truly incredible to behold. In honour of this glorious vantage point, our team of floral experts has crafted a wonderful combination white roses, gerbera and vintage pink carnations, presented in our popular blush pink hatbox. 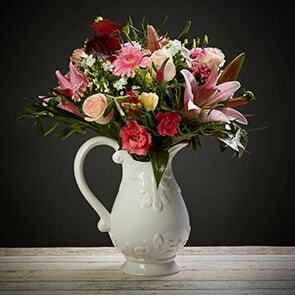 Perfect for any room or occasion, this stunning flower arrangement is sure to receive a lot of compliments. No two bouquets are ever the same so each and every bouquet is bespoke and truly unique. 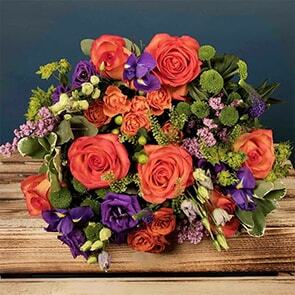 The picture shows an example of our bouquet with yours containing seasonal flowers similar in colour, texture and vibrancy.